Oh, spelling words. They’re so necessary, but can be so uninspiring. My daughter has been bringing them home all year and has been stuck taking practice tests or writing them over and over. That gets boring really quick. I’m always trying to make learning at home interesting. My girls don’t need a repeat of school once they get home. So I got to thinking about spelling words. 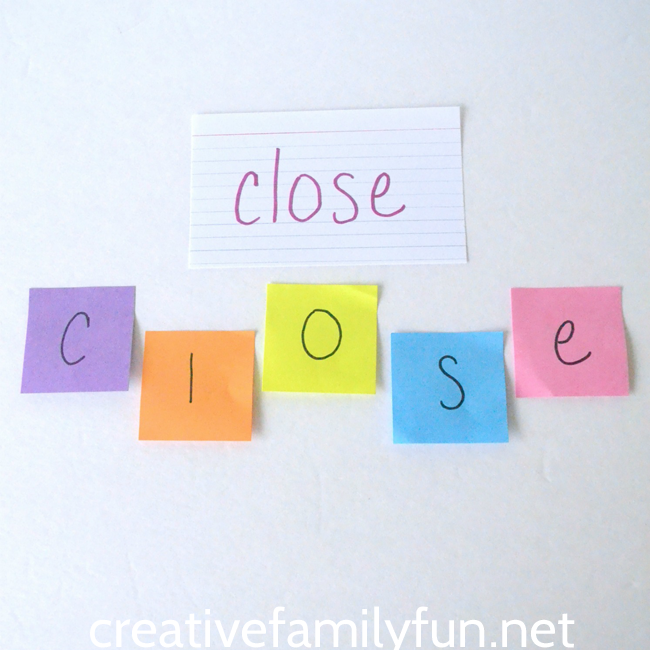 What are some creative ways to practice spelling words? 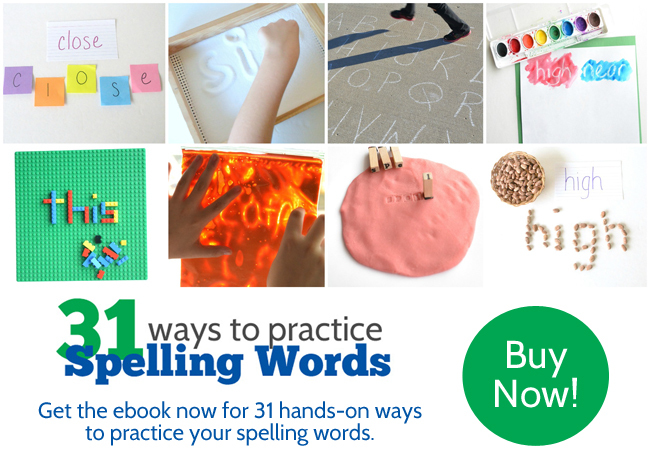 After a few days of brainstorming, I came up with 31 Ways to Practice Spelling Words. They’re hands-on and fun. These are not your normal ways to practice. I’ll be sharing one idea a day for the next 31 days. Are you ready? Let’s have fun with spelling! Do you have a stack of colorful sticky notes? Let’s grab them and practice some spelling words! 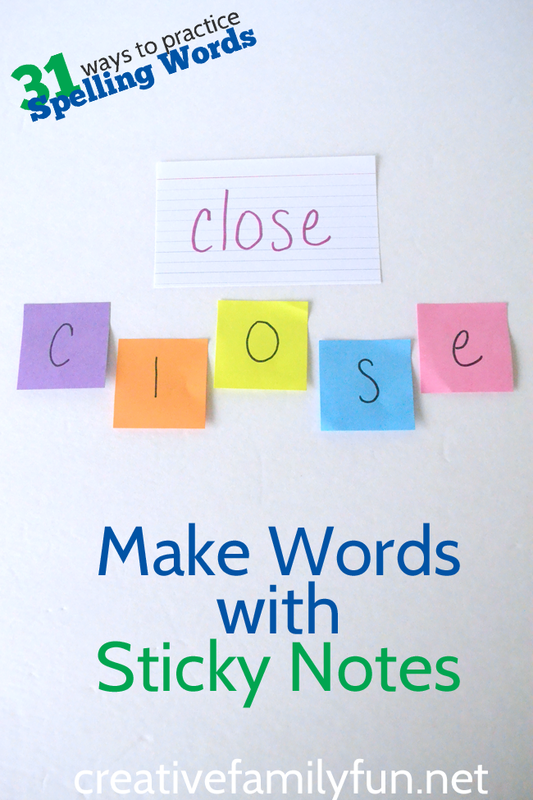 Write the individual letters for each spelling word on sticky notes. Mix them all up on a table and get started spelling. If your child is just learning their spelling words, let them use a list for reference. 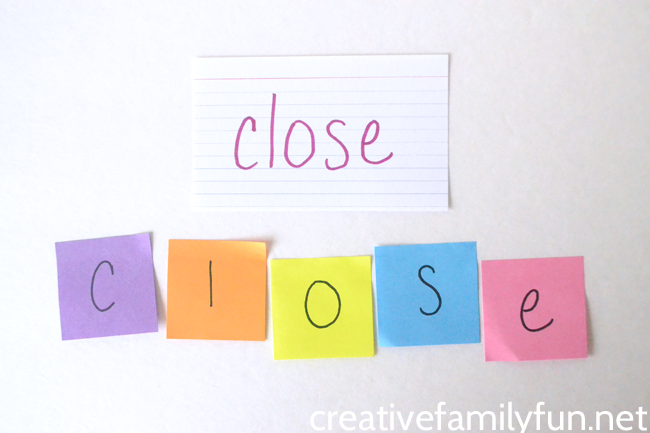 If they’re trying to master the words, call out a word and have your child try to build the word with the sticky notes. Let’s think out of the box with some of these day-to-day homework assignments and teach our kids that we can use creativity anytime. Have fun practicing spelling words and your kids will probably learn them much more easily.